Only a short update this week. I ran almost 75 miles, well over my 60-mile weekly target. The only thing of note is that I weighed the lightest since I started writing the blog over three years ago. Unsurprisingly, given the volume of miles and the fact that I still had last Sunday’s 10K race in my legs, I felt sluggish during the early part of the week. Previous marathon campaigns have told me that running miles on tired legs is an aspect of the training that you have to put up with. If you run 70 miles per week and include a few races and hard efforts, you are bound to feel tired. The race was certainly still in my legs during the Tuesday evening club session and I was off the pace during the 3 x 10-minute intervals. By Saturday, I felt fresher and gave it a go at Roundhay parkrun for the first time this year. I led for part of the first lap before a much stronger lad surged past me. 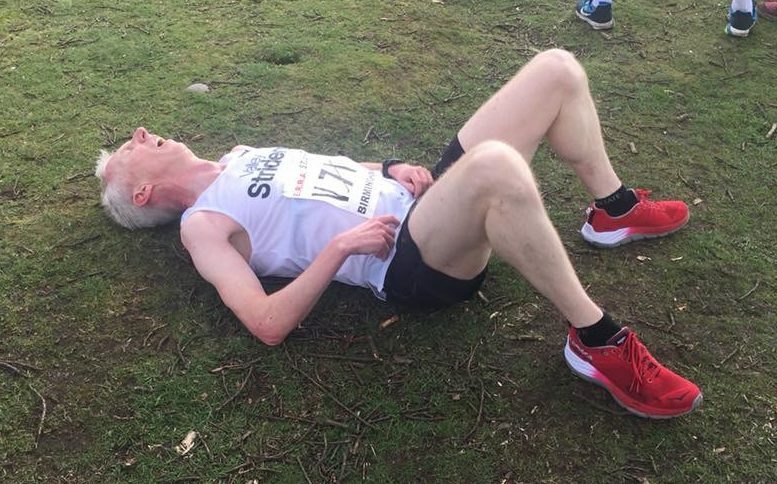 I conceded second place on the third ascent of the hill of doom before the finish but was satisfied with a time of 18:53 on a bracing winter morning. On Sunday morning, a hardy band of Striders ventured up to the Fewston reservoir trails for the Sunday long run. It was a rare old morning with a biting breeze and flecks of snow in the air. It was really satisfying to tick off this 20-mile progression run. We ran the first 6.5 miles lap as a group at a steady 8 minute per mile pace. We accelerated on laps 2 and 3 and Tim and I ran the final 6 miles at close to marathon pace (well under 7-minute miling). On a biting morning, over the undulating trails, I found that tough. Tim was definitely the strong one – I was always half a stride behind, hanging on a bit. Efforts like that are done so much more easily with someone else. Next week will be another standard mileage week, with a track session to look forward to on Valentine’s night. I will step the miles back a little during the following week, in preparation for the Snake Lane 10 mile race.